The Mutilator RDA has a new airflow system in the shape of an X. 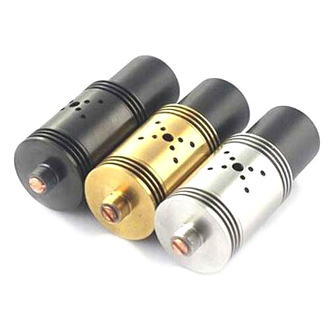 Made from stainless steel, the unique air flow system is designed to allow the air to hug the vapor in all directions sending clouds of vapor directly to your drip tip. It has a single 4mm hole surrounded by 8 smaller holes. This will result in a more intense flavorful vaping experience. This is a must have for all cloud chasers.